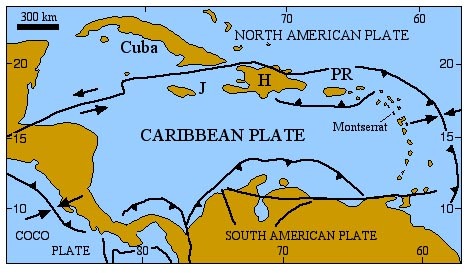 I have added a free resource to geographyalltheway.com about the Haitian Earthquake. It is a set of tasks focused upon the question 'Why was the Haitian Earthquake so deadly?' - I think it works for most KS3 or KS4 classes with teacher led differentiation. I used it today with Y8 and Y9. With Task 1 I'm not sure why I need to label those places eg) Bahamas, Mexico - relevance? I'd have thought that the USA is vital. Personally, I'm wondering if this mapping exercise might be better later perhaps in terms of considering where Emergency Aid and Long Term Aid is going to come from - ie) when a map is practical importance . Given the nature of the catastrophe it seems a bit daft to slow down to a sketch mapping/labelling exercise straight out of the blocks. I'd get straight on with it and do this later. Thanks for the feedback Ian. Early discussion with one of my classes placed Haiti 'in the Mediterranean', 'somewhere near Malaysia' and 'in Africa' so I started today with location. Sketch maps are given a lot of 'attention' in IB Geography - so it is a skill we drill! I might want to point out where the heck that part of the world is first actually - just because I know it should be obvious but I'm really not sure that they'd all know. Good use of the dev indicator stuff. Maybe this wants to be split into 3 (or more) sub-sections - the quake itself/the area/the dev? Or something? Yes, I know about IB and sketch maps - I used to do the exam marking. I just wonder about purpose. Whether it would be better as a summary task to label 10 key points and relevant key locations. My 16 year old daughter came home today talking about a country called 'Eighty or something'. I agree with BST about a simple regional/global locator. Metrologist - science of measurement apparently. Nice one!! But not 'of getting your arrows correct' or am I barking up the wrong tree with that as well..... slowly retreating back into my geocave. It looks to me as though they have been a bit sloppy with their arrows. Might be confusing for kids. Brilliant resources, Richard! Thanks for sharing. Just another thought on the map. As you know IB love things like a frame, a key, scale, north arrow, and also annotation. Wondered about doing it as a summary ex as stated above but using annotation. Perhaps you could give them some to learn and put in the right place. Then use this sketch map diagram with key facts and figures as their revision aid. Richard, Its good and much appreciated, thank you. thank you so much for sharing this. brilliant. the ITN report talks about the epicentre being 7 miles down! - focus?